With its Europa autoclaves in the "Vacuklav " -series, MELAG offers three autoclaves which are a step ahead of the require-ments of our times. We have in fact spared nothing in technical innovations to ensure that this family of autoclaves satisfies all requirements of the upcoming European Standard prEN 13060 which will be placed on "Class B" autoclaves. Autoclaves of the "Vacuklav "-family feature multiple sub-atmospheric pulsing for pre- and post-sterilization air removal. An innovative microprocessor control system provides closed-loop control and monitoring of sterilization. "Vacuklav " -autoclaves can be easily connected to the MELAG MELAdem 37 and MELAdem 47 water-treatment systems for automatic supply of high-quality water. In such configurations, a conductivity measuring unit for checking water quality (conductivity sensor) which is integrated in the autoclaves will check the quality of the water supplied. A serial interface for connection to the MELAprint 42 dot matrix printer, or to a computer in the doctor's practice, provides documentation of the success or failure of the sterilization process. Fractionated pre-vacuum, without water connection. Operation requires only an electrical outlet. With post-sterilization air removal for optimal drying, even for wrapped materials. 35 x ø 25 cm diam. Approx. 15 ... 28 min. Approx. 27 ... 42 min. Fractionated pre-vacuum achieved by the optimal technology enabled by an electrical water-ring vacuum pump. With post-sterilization air removal for optimal drying, even for wrapped materials. Installation is just as simple as for a domestic washing machine. Inside dimensions of the device: 45 x ø 25 cm diam. Fast program: approx. 10 min. Universal program: approx. 15 ... 30 min. Gentle program: approx. 27 ... 42 min. The above times for the programs do not include the drying times. This model is the same as the Vacuklav 24-B, except that the pressure chamber is shorter to enable the device to be installed on a narrow table only 45 cm deep. With its Europa autoclaves in its "Euroklav " -family, MELAG offers an even more cost-effective alternative to the "Vacuklav " -series. The "Euroklav " -devices conform to Class S of the European Standard, and are designed for applications in doctors‘ practices in which the instruments used and the types of instrument wrapping do not require Class B autoclaves. We can confirm that the designation “Class S” is correct for the Euroklav autoclaves: we have conducted extensive testing to prove this classification, according to the strict stipulations set forth in the future European Standard prEN 13060/4. This verification testing was not conducted by just any engineering office, but by the following autonomous and state-accredited testing point: Testing and Certification Office for Medicinal Products of the Technical University in Berlin (Prüf- und Zertifizierstelle für Medizinprodukte der Technischen Universität Berlin). These accreditation procedures have verified that MELAG "Euroklav " -autoclaves conform to the strict requirements of European Standard prEN 13060. We would be glad to send you the test report for the particular MELAG device in which you are interested. If you are alternatively interested in the autoclave products of other manufacturers, we urgently advise you to ask them for their test reports as well. Be sure that the test reports which they furnish are also provided by an accredited testing office. Then, in the event that you are involved in litigation, you can in any case (whether with our devices, or from another manufacturer) provide forensically valid evidence to ensure that you can prove that you have used a fully qualified Class S autoclave. It would be very unfortunate if you were called to court and if the court-appointed expert came to the result that the manufacturer of your autoclave had indeed given your device a Class S designation, but that in actual fact the technical characteristics of the autoclave did not in fact qualify it as a "Class S"-machine. The result could be inferior sterilization quality, and loss of the case in court. An innovative microprocessor control system performs closed-loop control and monitoring of the sterilization process in MELAG "Euroklav "-autoclaves. "Euroklav " -autoclaves can be easily connected to the MELAG MELAdem 37 and MELAdem 47 water-treatment systems for automatic supply of high-quality water. In such configurations, a conductivity measuring unit for checking water quality (conductivity sensor) which is integrated in the autoclaves will check the quality of the water supplied. 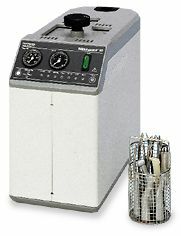 The "Euroklav " -devices have a serial interface for connection to the MELAprint 42 dot matrix printer, or to a computer in the doctor's practice, provides documentation of the success or failure of the sterilization process. A highly effective combination of pre- and post vacuum and pulsed flow. With vacuum final-drying function, with vacuum pump, without water connection..
Fast program: approx. 12.5 min. Universal program: approx. 20 ... 22 min. Gentle program: approx. 32 ... 35 min. Innovativ pulsed-flow process. Very good drying achieved by vacuum pump. Universal program: approx. 20 ... 27 min. Gentle program: approx. 30 ... 36 min. This model is the same as the Euroklav 23V-S, except that the pressure chamber is shorter to enable the device to be installed on a narrow table only 45 cm deep. Inside dimensions of the device: 35 x ø 25 cm diam. This model is the same as the Euroklav 23-S, except that the pressure chamber is shorter to enable the device to be installed on a narrow table only 45 cm deep. 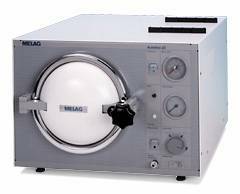 Many thousands of these MELAG Standard Autoclaves have successfully operated for many years to the full satisfaction of their users. They operate according the flow principle (gravitation principle). They are available as three compact models, each with different sizes and volumes. All three models are identical in technical characteristics, material used (stainless-steel sterilization chambers), and outward design. MELAG Standard Autoclaves satisfy all applicable legislation on safety regulations. They have passed bacteriological and technical tests and have received the German TÜV expert test certificate (from the Technical Inspec-tion Agencies), and the GS test certificate (the German Quality Mark for Safety). 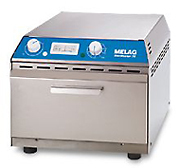 The MELAG Autoclave 17 operates with only one pressure setting: 2 bar / 134°C. MELAG Autoclaves 17 and 23 have two pressure selections: 1 bar / 120°C and 2 bar / 134°C. Types 15 and 17 hold 3 trays, and Type 23 holds 5 trays. 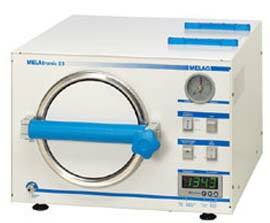 With its autoclaves MELAtronic 17 and MELAtronic 23, MELAG sets new criteria in the area of standard autoclaves. In addition to the proven technology and reliability of its previous Type 17 and Type 23 standard autoclaves (that are still available), MELAG has now equipped its MELAtronic 17 and MELAtronic 23 with an electronic control system. In addition to showing the parameters on a digital display, this innovation implements an electronic parameter-control system. It electronically monitors the temperature and kill time: which ensures that the sterilization cycle terminates only after it receives an enable signal from the microprocessor that the necessary sterilization temperature has been achieved. In connection with an error-recognition system, the autoclave display reports any deviations from a fully successful sterilization process. Both of these MELAtronic models conform to all valid legal safety regulations. They have undergone bacteriological and technical testing and have received German TÜV expert inspection reports from TÜV, as well as reports for tested safety. MELAtronic 17 and MELAtronic 23 both operate with a selection of two programs: one with 1 bar at 120°C, and the second with 2 bar at 134°C. MELAtronic 17 accommodates 3 trays, and MELAtronic 23 takes 5 trays or 3 standard tray cassettes. To ensure effective drying, both MELAtronic 17 and MELAtronic 23 are equipped with a drying function and with a sterilization-chamber pre-heating function. For both models, the feed water is stored in the built-in storage tank, and is circulated in a cycle. The sterilization chamber is made of high-quality stainless steel, and all other steam-conducting parts are made of stainless materials. The great importance of deciding for a professional autoclave becomes obvious to all when an autoclave breaks down in a doctor's practice. Work with the patients slows or comes to a halt, operations may have to be postponed, and patients may even have to go home without treatment. With its selection of the best components, and with its experience of 50 years in specialisation in the field of sterilization, MELAG guarantees that your therapeutic work will smoothly flow. This is possible with the latest in microprocessor control, high-quality vacuum pumps, innovative steam generators, and top-quality stainless steel. This MELAG high-tech autoclave satisfies stipulations of European Standard EN 285 for large-scale sterilizers in hospitals. For their operation, vacuum autoclaves require demineralised water for the generation of sterilization steam. They also need tap water for cooling the vacuum pump and, of course, electric power. In order to keep costs of these media as low as possible, modern cost effectiveness enjoyed high priority in the design of the MELAG Cliniklav 25. It was possible to optimise the effectiveness of the vacuum pump to such a degree that it effectively functions with tap-water consumption lower than any levels possible until now. The MELAG steam generator is just as thrifty in its use of distilled water. MELAG has been awarded a much-admired patent for the design of this steam generator. Sterilization-program diversity must not become an end in itself. After all, selection of the wrong program, with aborted sterilization cycles and the required new starts, all cost time and money. The clearly organised display of the MELAG Cliniklav 25 shows the four main programs and the three options which do not depend on the program. Upon request, it is possible to store additional programs in the microprocessor of this autoclave. The compact and space-saving fast autoclave for the sterilzation of dental handpieces, contra-angles, and turbines: with an overall operation time of only six (6) minutes, including drying. This time also applies to work with wrapped instruments. The MELAquick 12 operates with a single-use (non-reusable) water system to ensure longer service life of the autoclave and the sterilized instruments. The MELAquick 12 features a serial printer interface for connection to the MELAprint 42. The MELAquick 12 also offers an additional steam-pressure disinfection program for older dental handpieces and contra angles which cannot be sterilized. The principle of dry-heat sterilization at 180°C represents a sterilization procedure which is recognised in DIN 58947. Hot air can effectively sterilize all objects made of inorganic substances: e.g., metal, glass, porcelain, earthenware, enamel, and the like. The disadvantage of the dry-heat method, however, is the fact that a temperature of 180°C is required for such sterilization: whereas only 120°C (at 1 bar) or 134°C (at 2 bar) is required for steam sterilization in autoclaves. The generations of conventional dry-air sterilizers used until now provided for heat exchange by strictly thermal means. As a result, hygienic specialists have for years claimed that this process endangers sterilization effectiveness because of the “cold-air pockets” which result from the characteristic inherent to these systems. For this reason, all MELAG dry-heat sterilizers feature fan convection. This means that a blower provides fast and complete heat exchange throughout the entire sterilization space. This features considerably shortens sterilization times and effectively avoids overheating. The new MELAG Sterilizer 75 meets our customers' requirements for a compact and cost-effective device. To enable a sturdy construction and long service life, the Sterilizer 75 is made of high-quality stainless steel. The interior is also made of stainless steel and therefore conforms to the strictest international standards. The fan convection system means significant reduction in sterilization times in the doctor's daily practice: down to as fast as only 60 minutes for normal loads. It is possible to regulate the temperature of the MELAG Sterilizer 75 on a continuously variable basis, from 60°C to 180°C. The device is furnished with a timer switch. After switching on, the sterilization cycle proceeds fully automatically, with switch-off of power at the end of the cycle. Despite its compact outside dimensions, the MELAG Sterilizer 75 can hold two large aluminium trays (29 x 19 cm). 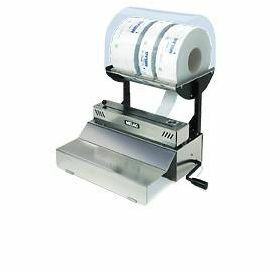 This sterilizer is available with Tray Mount 1 (for 2 trays) and/or with Tray Mount 2 (for 1 large aluminum cassette, or for 1 tray). These Tray Mounts can be quickly and easily interchanged. 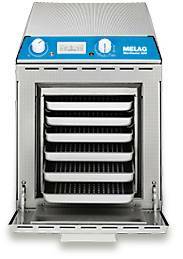 This new MELAG model, the dry-heat Sterilizer 205, is the successor model to the MELAG Type 221/225 and 211/215 dry-heat sterilizers, which were extremely successful over decades of sales and use. The MELAG Sterilizer 205 features a highly effective fan convection system, which guarantees a maximum of sterilization reliability and safety with shorter overall operation periods. This performance is achieved because the fan convector especially fast and reliably enables complete exchange of heat. Although the MELAG Sterilizer 205 – like its predecessor models – can also hold 6 trays, it is considerably more compact, with the resulting saving of space for the user. The interior compartment, like the outside housing, consists of stainless steel. After the timer switch is turned on, the sterilization process begins to run fully automatically, and the power automatically cuts off when the cycle is complete. The temperature can be infinitely variably set between 60°C and 200°C. 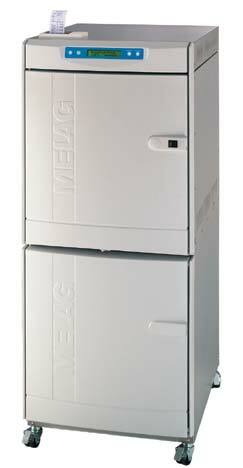 The MELAG Sterilizer 255 is a proven-reliable dry-heat sterilizer with a fan convector. The inside and outside material is aluminium. The housing is white, with a black-enamel front panel. Sterilization in an autoclave is the safest way for prevention of infections. After sterilization, however, care must be taken that instru-ments are not contaminated again. The MELAseal 100 und MELAseal 101 Package Sealing Devices can effectively seal sterilized instruments so that they are stored while being safely protected against contamination. 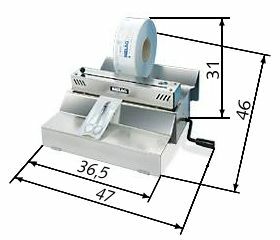 Without great physical effort, these two models produce optimal sealing seams 10 mm wide, with precise sealing pressure. DIN 58953 specifies sealing seams at least 8 mm wide. The MELAseal 101 Package Sealing Device is always immediately ready for use, without a heating-up period. When the user turns the crank, the pressure bar is pressed against the sealing bar. This procedure automatically starts the sealing process. Two signal lamps show when the sealing is finished (after 2 ... 5 seconds). The integrated cutter cuts off bags / wrappers to the required length during the sealing procedure. These wrappings can be more economically processed then finished plastic-film bags. After the operator switches on the power to this device, it takes approx. 2 minutes until the cold unit heats up to operating temperature. When the signal lamp goes off, this means that the MELAseal 100 Economic is in the ready mode and can go to work. When the operator turns the crank, this presses the pressure bar against the heated aluminium rail. 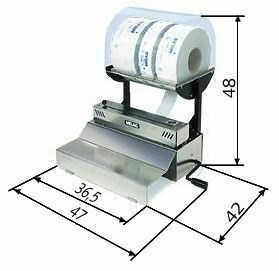 After only two (2) seconds, the sterilization wrapper has been properly sealed in accordance with relevant standards, with a sealing seam of 10 mm width.The integrated cutter cuts off bags / wrappers to the required length during the sealing procedure. These wrappings can be more economically processed than can finished plastic-film bags. Before sterilization, instruments are sealed into a sterilization package and then placed into the autoclave. After sterilization, the instruments are kept sealed in the package, as protection against contamination, until their next use. 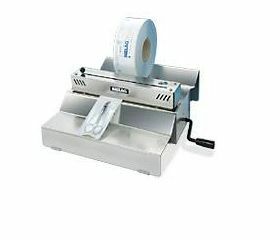 The MELAfol see-through sterilization packaging consists of a paper-plastic film combination, and it has the advantage of allowing the instruments to be easily seen. The doctor can remove the instrument from the package in the presence of the patient, which is impressive evidence that the physician's practice is being hygienically managed. 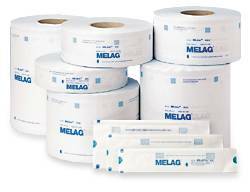 MELAfol is impervious to pathogens (germ-tight), capable of being hot-sealed, resistant to wrinkling, and easy to open (owing to its peelable sealing seams). MELAfol also features a treatment indicator in accordance with DIN 58 953, part 4, which turns from blue to brown during steam sterilization. It is therefore not necessary to stick indicator tape onto the packages. The user opens the packages by peeling apart the 10-mm seam on the side, in the direction of the arrow. According to DIN 58 953, part 7, sterilized instruments may be stored in such packages for a maximum of six (6) weeks: for example, in a drawer. The MELAjet -spray pistol can be used to apply at full line pressure demineralised water as supplied by the MELAdem 37 water treatment system. 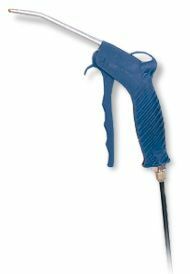 This water can be used for a great number and variety of uses: e.g., the adjustable combination nozzle can direct a cone-shaped, wide-area spray to clean contamination and chemical residue from the surfaces of instruments. It can also apply a fine-point stream to clean out instrument parts which are poorly accessible. 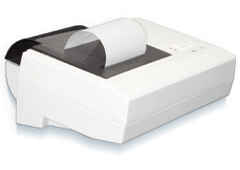 MELAprint is the dot-matrix printer for important documentation of sterilization procedures. It also provides for permanent archiving of sterilization parameters. MELAprint can be connected via a serial interface to all MELAG Vacuklav and Euroklav products. 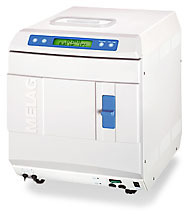 MELAG offers the MELAprint 40 for connection to the MELAquick 12 fast autoclave. MELAG offers the conductivity meter MELAtest 60 for testing at all times of the quality of water used in doctors' practices for instrument preparation and sterilization. The conductivity meter is simply turned on and held down into the water to be tested. The display will show the conductivity reading. Experience has shown that constituents dissolved in water can be dangerous to autoclaves and instruments with conductivity values of 30 µS (micro-Siemens) and more. It is not enough to properly sterilize medical and dental instruments: these instruments must also be stored free of germs until they can be used again. All MELAG Vacuklav and Euroklav autoclaves with Tray Mount C are equipped as standard feature to accept six (6) trays or three (3) standard tray cassettes. 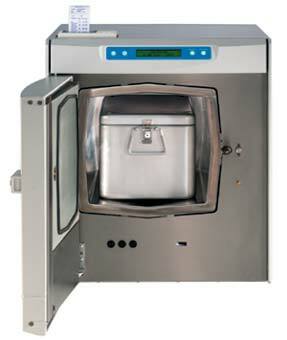 These autoclaves are also available with Tray Mount B to accept four (4) standard tray cassettes. 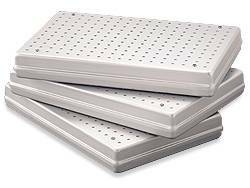 MELAG standard tray cassettes are equipped with a sterile filter cloth in the bottom and the cover. They are also available without the sterile filter cloth: i.e., with only perforations in the bottom and cover. It is not enough to properly sterilize medical and dental instruments: these instruments must also be stored free of germs until they can be used again. Sterilization containers are used for this purpose. MELAG sterilization containers have perforations in the bottom and in the cover, which are covered germ-tight by a special sterile filter cloth (which can be exchanged). In accordance with the coming European Standard prEN 868, MELAG sterilization containers are secured with a latch and are provided with a cover seal.